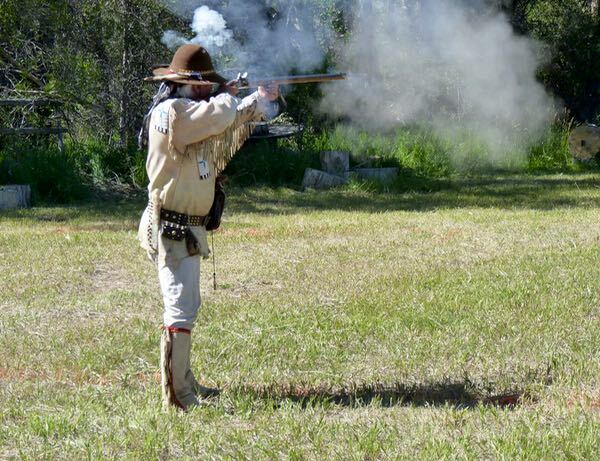 A mountain man rendezvous, by the Sierra Madre Muzzleloaders, fulfilled something I had long hoped to see. 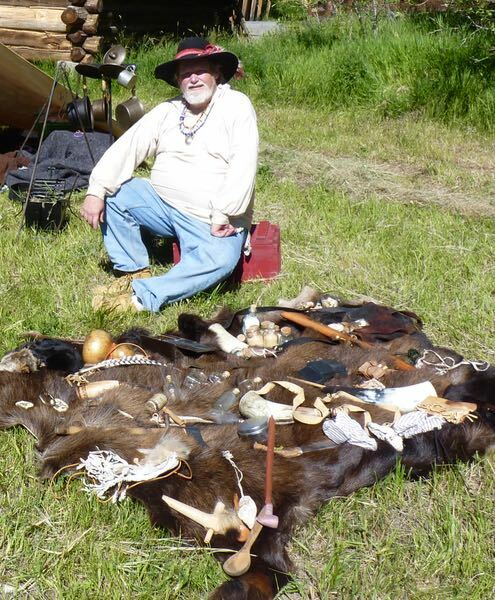 During the early 1800s, trappers and natives would gather together to sell their bounty, and trade for supplies they needed. This small gathering, near where an actual one would have occurred, was recommended by an RVing friend. 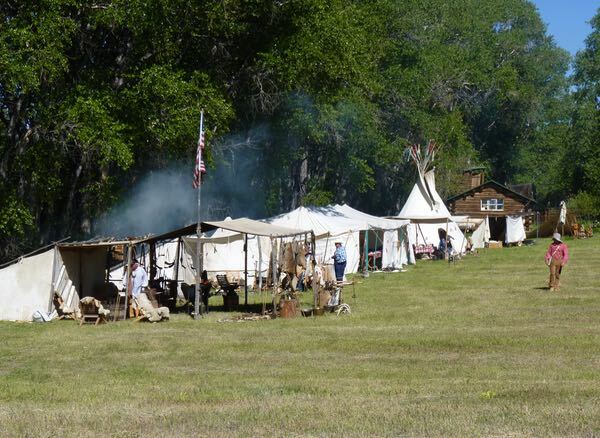 Traders were camped on the perimeter in tepees or primitive tents. 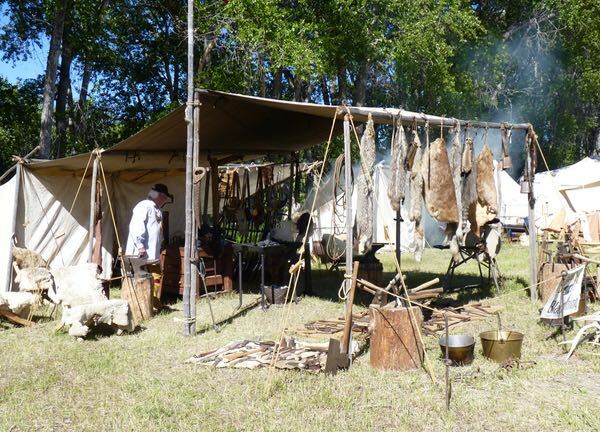 They displayed their hand made wares in canvas tents or arranged on the ground. A blacksmith, demonstrated his craft. 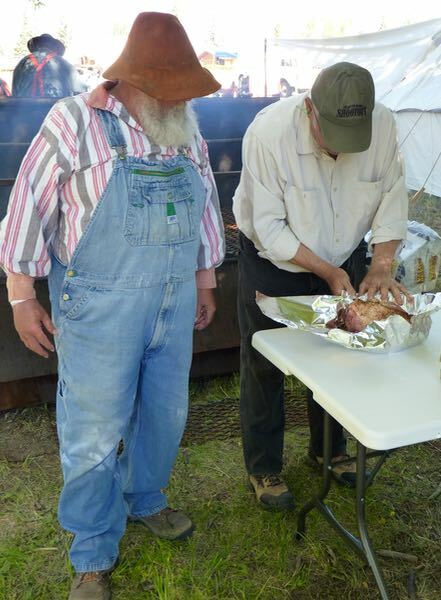 There was a delicious pig roast dinner one evening. 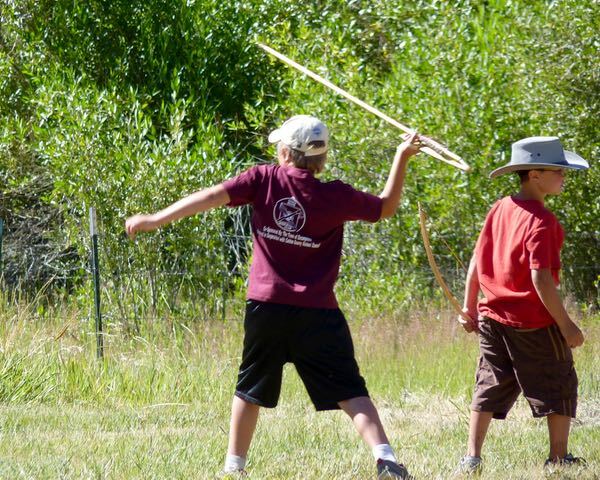 Competitions, for all age levels, were held in throwing the spear with atlatl, knives, hawk (tomahawk), and frying pans. 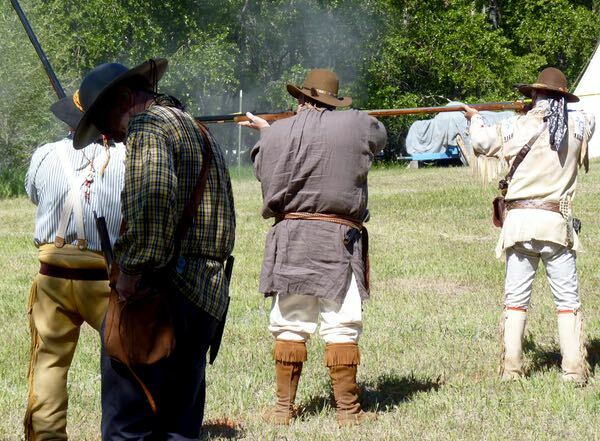 Shooting bow and arrows, and of course, firing at targets with muzzleloading rifles and pistols. One mountain man even let me fire his rifle. Children’s fun included the Candy Canon that fired off rounds of goodies for them to hunt down. A make-shift swimming hole, foot races, and campfire starting without matches kept them involved. 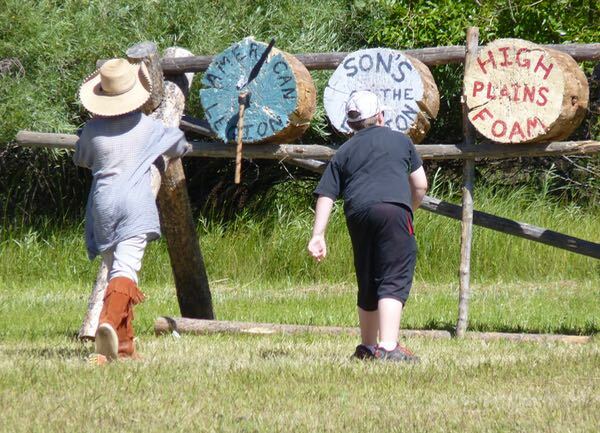 The children also competed in all the weapons events. Period gear was not strictly required; however there was enough to create the atmosphere. The laid back attitude made for a friendly and welcoming feeling. It’s likely I could have participated more in the skill events if I had asked. And, I was kindly allowed to camp on the grounds for free. 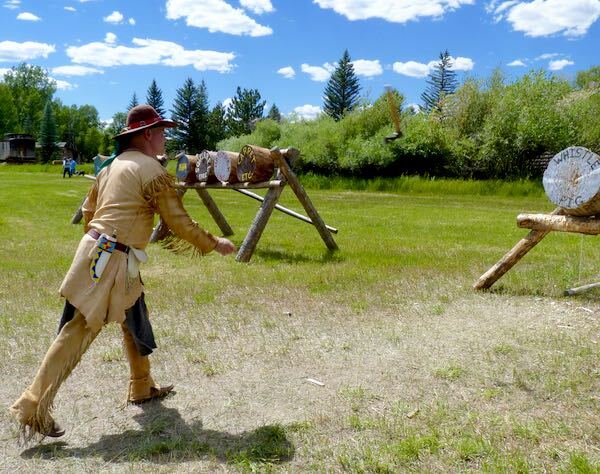 There are larger, and more period authentic rendezvous held around the mountain west. If you prefer a small and relaxed gathering, this one would be a good option. I had a fun time, and would recommend it for those interested in frontier lore. What fun! Looks like it would be more enjoyable than the great huge gatherings. I prefer smaller events because of fewer people and the ability to connect with the presenters. This one was surely lots of fun.